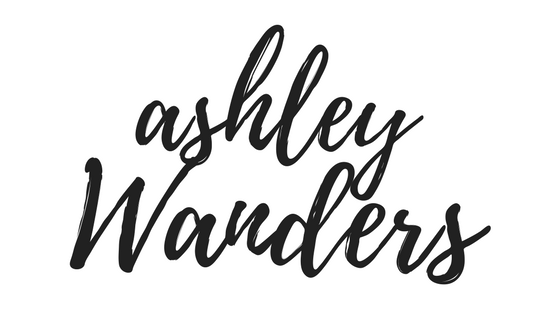 I know I’ve said this in almost every single monthly recap, but where has the time gone?! I’m still trying to grapple with the fact that it’s been nearly eight months since I arrived in Edinburgh, let alone 2015 will be over in a matter of days. I cannot wait to celebrate Hogmanay in Edinburgh, but I’ll be sad to see 2015 go. It’s been a fantastic year; a year where I finally returned to a city I love so dearly, a year that saw me taking my first foray into expat life, and a year that has challenged me and changed me for the better. I spent majority of 2015 in Edinburgh, but I’ve also travelled to some amazing destinations: from the cacophonous streets of New Delhi to the bustling markets of London, with trips around Scotland, mainland Europe, and Ireland thrown in for good measure. As always, some of my best memories from these travels are centred around food, and I can’t think of a better way to reflect on the past twelve months than through the best meals I’ve eaten in 2015. I started the year on a high note in terms of food when I spent a gluttonous month in India. I could easily bombard this list with the things I ate there – pretty much every single thing I ate was incredible, and I ate a lot. 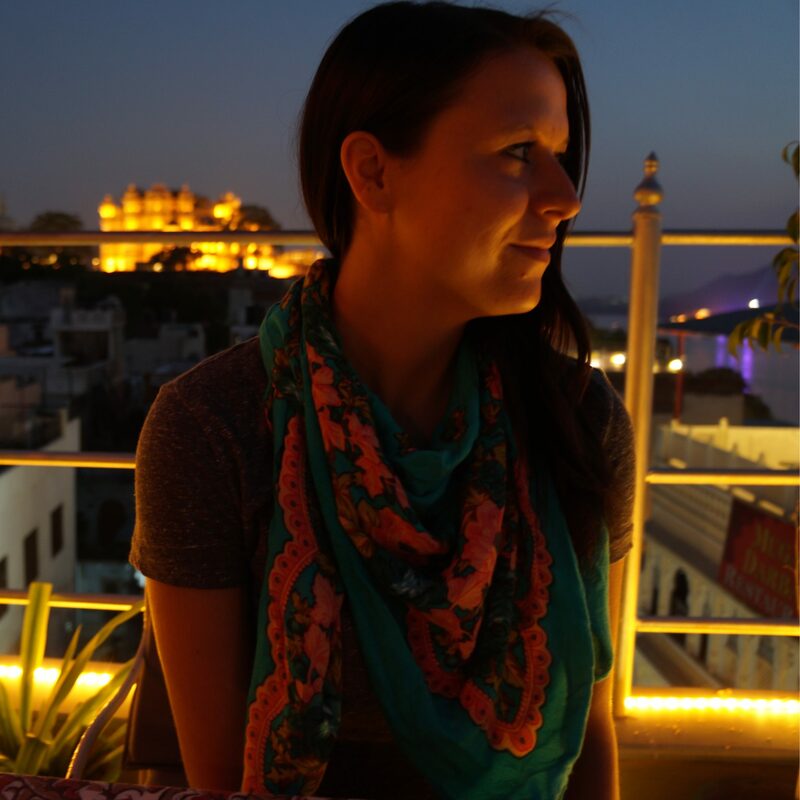 For the sake of brevity, I’ve chosen my one ultimate favourite meal from India: paneer butter masala and garlic naan. Rich tomato gravy blended with spices and butter, soft, creamy paneer, and the naan – oh god, the naan. Thin and crispy around the edges, soft and butter-soaked in the centre. I have yet to find any naan that even comes close to the naan in India. Before I arrived in Edinburgh, I spent a few days in London eating my way around the city’s incredible food markets, and my first stop was Borough Market for Kappacasein’s cheese toastie. Cheddar, comté, and ogleshield cheese mixed with white and red onions, leek, and garlic, melted between two slices of sourdough bread – it’s definitely the best sandwich I’ve eaten all year. 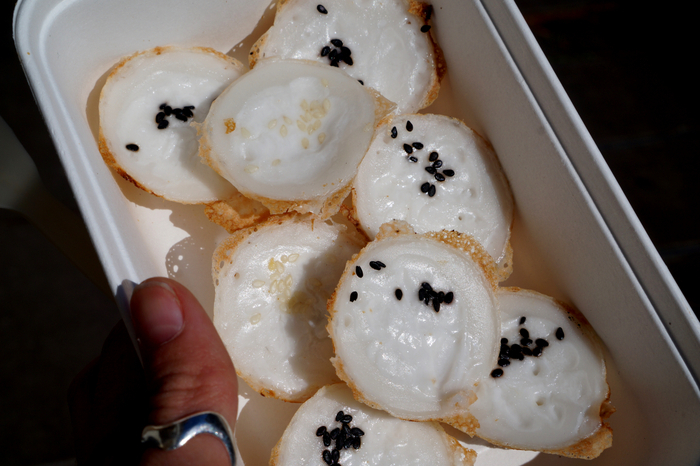 Another Borough Market gem, Khanom Krok’s coconut pancakes are simple but incredibly flavourful morsels of sweet, coconutty goodness. They’re made with a rice flour and coconut milk concoction, and cooked in a traditional dimpled pan until slightly crispy around the edges. I love the contrast of the custard-like centre and crispy exterior, with an added pop of flavour from the black and white sesame seeds on top. I’ve waxed poetic about Hanam’s before – it’s one of my favourite restaurants in Edinburgh, but despite having visited multiple times, I’ve only ever tried one dish on the menu: the vegetable kebab. A skewer of tomato, onion, bell pepper, and mushrooms marinated in tomato and lemon juice, cooked over a charcoal barbeque, and served with garlic and chili sauces and clay-oven baked naan. It’s so tasty I can’t help but order it every time I visit. As a lover of all things chocolate, I can’t think of anything better than a cup of pure, melted artisan dark chocolate, and that’s exactly what I had at The Chocolate Tree earlier this year. Their ‘bean to bar chocolate shot’ is divine, and I ended up drinking it straight, despite ordering a side of churros for dipping. I’m no stranger to Hungarian food – my grandparents are from Hungary and I grew up eating traditional Hungarian dishes, but there was still one dish I was dying to try when I visited Budapest: Langos, or deep fried dough topped with savoury or sweet toppings – usually garlic butter, sour cream & grated cheese, or cinnamon & sugar. I opted for the sour cream & grated cheese combo with mushrooms, and it was sickeningly delicious. I’ll admit I tend to indulge in this cheesy pie of delight at Morrison’s Bakery solely on the weekends at ungodly hours of the night, but I’m certain their macaroni pies would be just as delicious during the day. 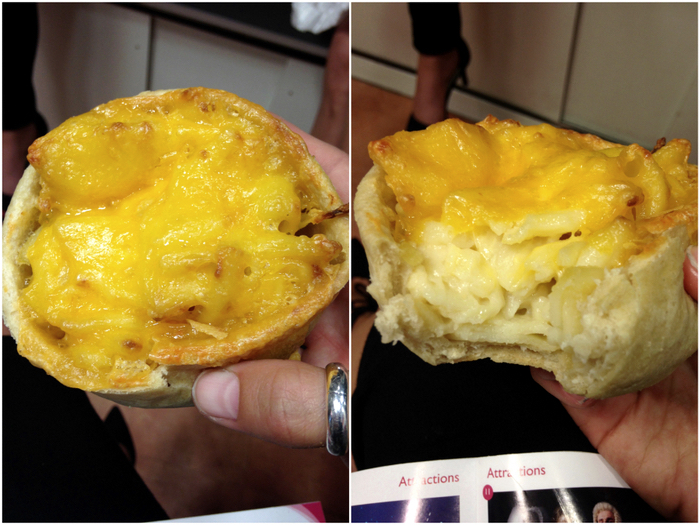 Macaroni pies have become my vice since moving to Edinburgh, and they also just so happen to be one of Scotland’s best hangover foods. I frequented Mary’s Milk Bar far too much this summer, but their gelato is excellent, and the unique and creative flavours kept me coming back on a near daily basis. Of the dozen or so flavours I’ve tried, the honey & lavender gelato stands out in my mind as one of the best things I ate this year. I actually made dinner reservations before booking accommodations on the Isle of Mull, but I wanted to ensure I wouldn’t leave the island without trying the food at the highly acclaimed Cafe Fish. Exceptionally fresh and local seafood is their speciality; their fishing boat delivers shellfish to the restaurant at 4pm everyday, and all other ingredients – from fish to chicken and produce – come from local companies on the island. I tried a seafood linguini with mussels, clams, prawns, and the most delicious tender, buttery scallops I’ve ever tasted. Apart from the food I had in India, Sev Puri from Babu Bombay Street Kitchen in Glasgow is one of the most flavourful dishes I’ve had all year. Made with wheat puri, boiled potatoes, chaat masala, red onion, three chutneys, and topped with crispy lentil vermicelli, fresh coriander, and lime juice. I can still vividly remember the way the spicy, sweet, tangy, and fragrant flavours intermingled when I took that first bite. There’s nothing I love more than a simple margherita pizza – but only if it’s done right. Civerinos makes an amazing margherita pizza, with San Marzano tomato sauce, buffalo and grated mozzarella, and fresh basil, on a made-to-order, sourdough base. I’ve eaten my fair share of pizza this year, but Civerinos margherita takes the top spot. Soderberg’s signature cardamom bun is, hands down, the best pastry I’ve eaten all year. Similar to a cinnamon bun, but better – the cardamom adds an aromatic, spicy-sweet flavour and makes for a uniquely delicious pastry that is unlike anything I’ve tried before. I’d say El Cartel serves some of the best and most innovative Mexican food in Edinburgh – they manage to take traditional Mexican street food and incorporate unexpected, modern ingredients in a completely unpretentious way. Their ranchero taco – fried avocado, scrambled egg, guajillo chile and sheep’s milk cheese in a hand pressed corn tortilla – is my favourite. My first afternoon tea in the UK was at Prestonfield House – a luxurious boutique hotel located at the outskirts of the city centre. Everything was delicious – from the egg sandwiches to the goat cheese pastry to the chocolate passionfruit macaron – but the perfectly crumbly scones with fresh clotted cream and home-made raspberry jam were the highlight of this meal. What were some of your best meals of 2015? You obviously had a wonderful year! Butter masala is painfully amazing… And garlic is my favorite as well! I love food photos as well – a little too much, probably 🙂 Macaroni pie is indeed a thing, and it’s amazing! Langos is like the best food I’ve ever eaten ever. I haven’t had it but twice because I’m afraid of a heart attack otherwise but it is so, so good! Glad to see it made your list 🙂 Aren’t food roundups the best posts to write and read? Love them!